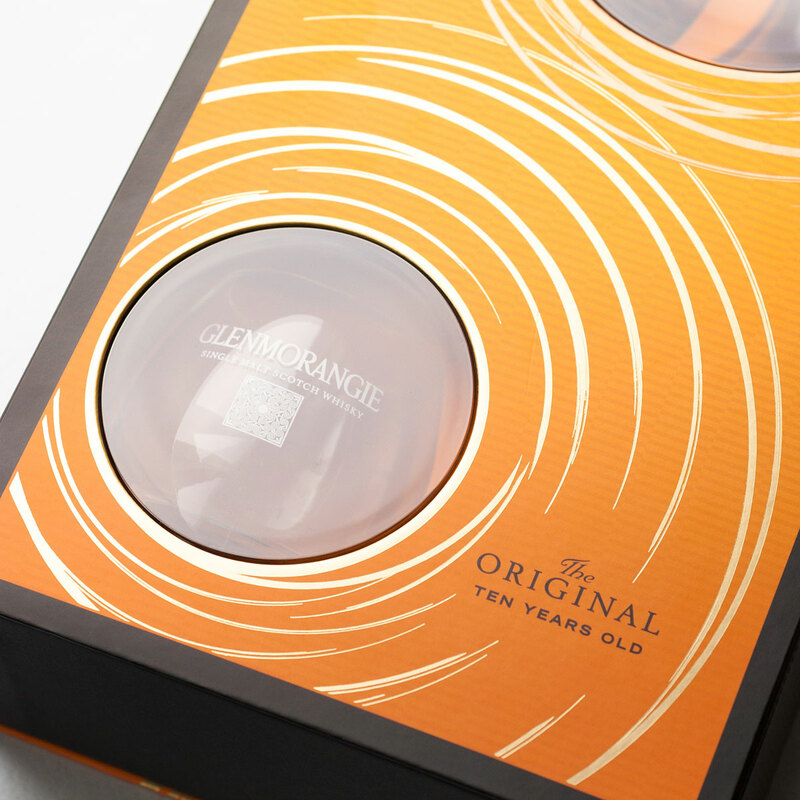 Presenting Glenmorangie's famous 10 year-old Original single malt Scotch whisky in an elegant and robust gift box that includes two logo tumblers to help you enjoy the perfect drink. 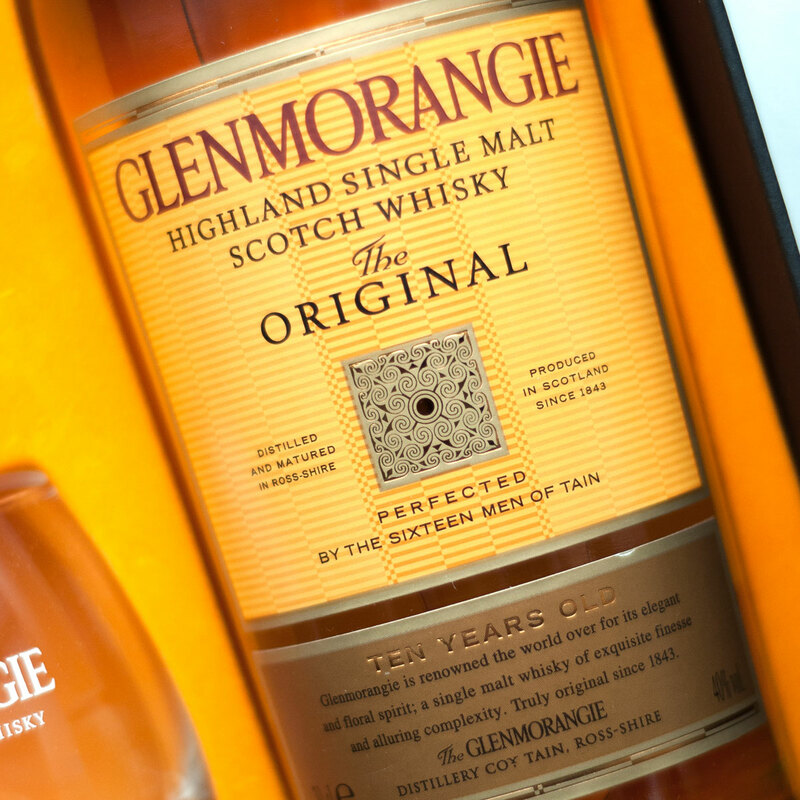 A ten-year-old single malt, Glenmorangie Original is produced by marrying the delicate spirit that emerges from Scotland's tallest stills, with first and second fill American white oak casks. 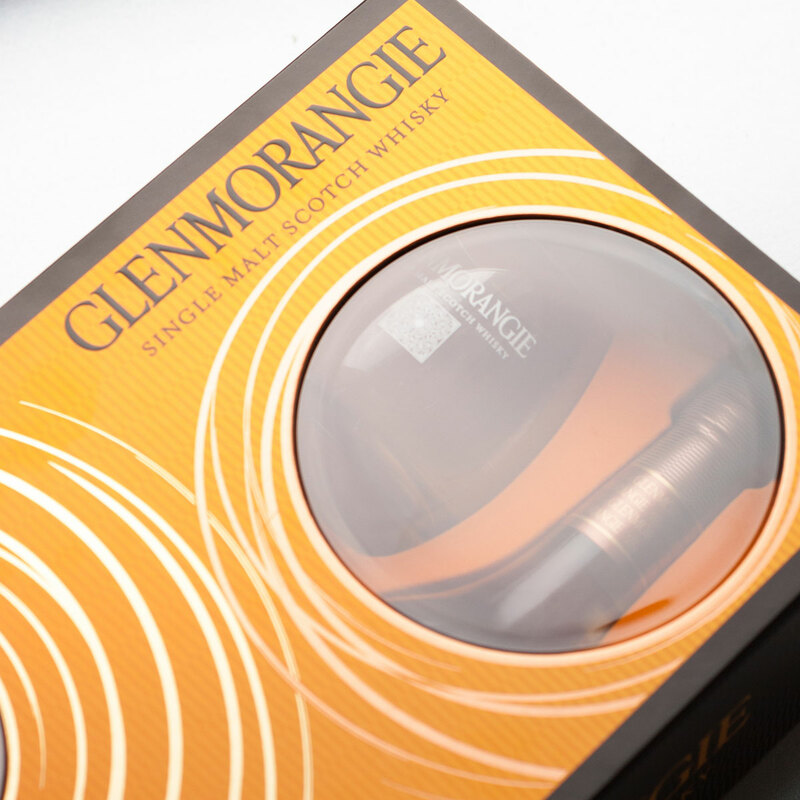 It is the original expression of our elegant, floral spirit and the real backbone of the Glenmorangie range. Our raw spirit develops a perfect balance between sweetness and complexity during the ten long years maturing in a range of ex-bourbon casks, including our famous slow-grown and air-dried "designer casks" from Missouri. The result is a mature spirit that is soft, mellow and creamy. Perfect for enjoying at any time. The scent of citrus and ripening peaches is softened by the aroma of vanilla. First, vanilla is detected on the tongue before it ripples along the palate bringing a burst of flowery fruitiness. 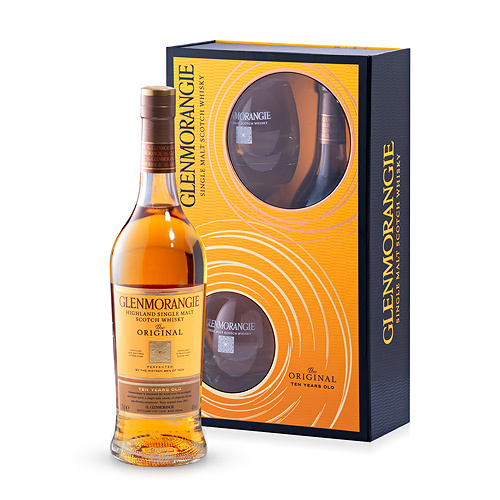 About a minute after tasting, you are left with a clean and salving aftertaste with hints of orange and peach.